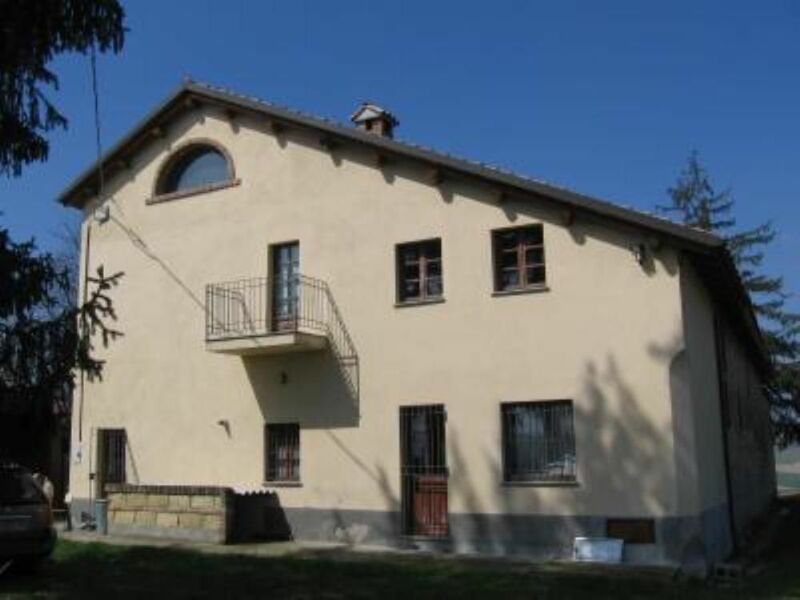 Old farmhouse with spectacular views over the hills of Monferrato. The house is located in an area of repopulation of hares and pheasants that can be observed in their environment. Ideal if you love peace, nature, wine and good food. The choice is between walks in the vineyards or relaxing in the garden, but you can switch without problems. "A very nice stay. Being on holiday with 4 under-sixes we stayed at home a lot and enjoyed the house and immediate surroundings a lot. Even so, we often hopped into Moncalvo or in the surrounding towns, even only for short visits. The views are fantastic: on one side you can see Moncalvo and on the other Calliano! We hope to be back soon." I am from Australia and spent a week here with my adult family. I cannot recommend it highly enough for a comfortable holiday in peaceful surroundings, with access to the superb local produce and wine in Moncalvo area. We enjoyed walking along tracks to local villages. The courtesy and hospitality from local people was fantastic. The house itself is spacious and extremely comfortable and well equipped. Being several kms from Moncalvo, access to shopping would be difficult without a car (though we spent most of our time at the property, enjoying the surroundings, walking locally and enjoying the food and wine we'd bought in Moncalvo). The property owners were extremely helpful and welcoming, for example providing excellent directions for driving from Malpensa and ensuring we had everything we needed on our arrival. I definitely intend to return and have already recommended this property to friends. Pace, e panorama: una casa dotata di tutte le piccole e grandi cose per un soggiorno sereno e rilassante guardando la valle fra tigli, rosmarino, fichi. Davanti a casa lo spazio è ampio anche per un aperitivo con gli amici. Nel piccolo paese si fanno in quattro per aiutarti in tutto. Gentilissimi e precisi i proprietari. Dovendo tornare da quelle parti, è li che sicuramente torneremmo. "La casa è meravigliosa e la posizione indimenticabile: il silenzio è assoluto. Tutti i nostri momenti conviviali hanno avuto come sfondo i grandi alberi che circondano la casa. La disposizione degli ambienti permette molta libertà anche in casi di gruppi numerosi. A cinque minuti di auto si raggiunge Moncalvo, che ha un centro storico incantevole e una gastronomia eccellente. Soprattutto desidero sottolineare l''accoglienza e l''assistenza organizzata dai proprietari per tutto il periodo del soggiorno (3 settimane), con grande discrezione ed efficienza. Il ricordo di quei paesaggi sta scaldando il nostro inverno." "une très belle région, un accueil chaleureux et une maison ou il fait bon vivre!" Giudizio complessivo più che positivo!" From Milan Motorway A4 Milano Torino, take the A26 intersection direction Alessandria/Genova, after 25 km take direction for Santhia, first exit , Vercelli Ovest; take SS 455 and then SS457 asti direction, Moncalvo is at 40 km from motorway exit . Form Turin: Motorways A21 direction Piacenza, exit Asti Est, take SS 457 direction Casale Monferrato; Moncalvo is at 20 km from motorway exit. From Genua: Motorway A 26 , at intersection with A21 take Torino direction, exit Asti Est, take SS 457 direction Casale Monferrato; Moncalvo is at 20 km from motorway exit. In the house are at your disposal brochures and guides of the region. Do not miss Moncalvo Truffle Fair - the last two Sundays in October, Fat Ox Fair - the second non-holiday Thursday of December, the Feast Kitchens monferrine-third Sunday in June. In 30 minutes you reach Casale Monferrato (23 Km - antiques market 2nd Sunday of the month) and Asti (25 km - up for Palio in September). Alba in 1 hour (50 km - capital of the truffle) and Turin (80 km - the Egyptian museum, royal residences).